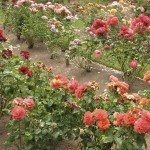 What Is A Disease Resistant Rose Bush? Disease resistant roses have been getting a lot of attention lately. 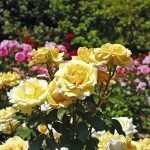 What is a disease resistant rose and how can a disease resistant rose help you in your garden? Read on to find out. 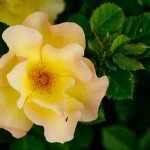 What are Disease Resistant Roses? This term “disease resistant” means exactly what it states — the rose bush is resistant to disease. A disease resistant rose bush is a hardy variety of rose that by its breeding can resist many attacks of disease. This does not mean that given just the right conditions a disease resistant rose will not be attacked by and contract some disease. But disease resistant rose bushes should perform better in your rose beds without the need to spray as often or perhaps not at all. Not spraying your rose bushes with a fungicide means that you need to keep the bushes well trimmed and thinned out to keep good air flow through and around the rose bush. 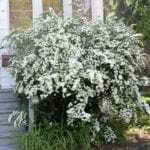 The good air movement will help keep the humidity level down, thus not creating the climatic condition within the rose bush that fungi can thrive in. Keeping drooping canes up off the ground also helps stop diseases from attacking your rose bushes. Probably one of the most popular disease resistant rose bushes on the current market is Knock Out, a shrub rose with red blooms and a very hardy rose bush in many ways.